How pharma can move on from the recent controversies around pricing is one of the industry’s biggest issues. Now Donald Trump, someone else who doesn’t mind calling his opponents ‘stupid’, is set to become the next president of the United States. Despite his worrying demagoguery and erratic behaviour, Trump hasn’t levelled any such insults at the pharma industry. That’s why the sector’s share prices rose following his victory, as investors believed pharma has dodged Hillary Clinton’s planned clampdown on ever-increasing US drug prices. Despite that, two of pharma’s leading European chief executives have made it clear that US prices are the problem that pharma can no longer ignore. 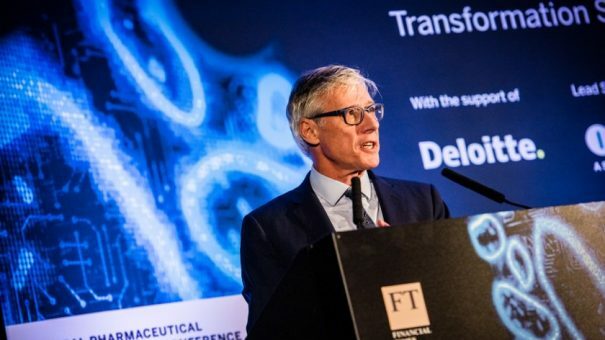 Speaking at the FT Global Pharmaceutical and Biotechnology conference in London, Sanofi chief executive Olivier Brandicourt and GSK’s outgoing leader Sir Andrew Witty both focused on pharma’s current bête noire, the battle over prices. Sir Andrew Witty is just a few months away from stepping down as chief executive of GlaxoSmithKline, and is keen to defend his record and prepare the ground for his successor, Emma Walmsley. Under Witty, GSK has generally steered clear of imposing eye-watering prices to its new products, standing out among its peers, who have often pushed prices to the limit. Now Witty says the rest of the sector needs to follow GSK’s lead. That’s because the US – the prime enabler for high cost drugs – is plateauing in its ability to pay, he told the conference. And while the US and the rest of the world is still getting used to the idea of a President Trump, Witty says even a Hillary Clinton outcome wouldn’t have been radically different for pharma. “Even if the Democrats had won, I don’t think we would have seen a dramatic intervention [on drug prices],” he says. Nevertheless, US payers will not and cannot sustain continued cost growth for much longer. “Recent years have been dominated by price, but from a payer point of view, those days are coming to an end,” Witty told the largely pharma industry audience. GSK has been putting its money where its mouth is, and Witty says the last six drugs it launched in the US were at or below the cost of the generation of drugs they were trying to replace. The company has also remained true to its diversified strategy, and Witty says a portfolio of prescription medicines and consumer health products helps it to spread risk. He points out that consumer products have a much longer lifecycle than prescription drugs – while they never hit the same profitable heights, they also don’t face patent cliffs, and keep earning over decades. Meanwhile, GSK has once again topped the league table of companies working to increase access to medicines in the developing world , thanks to its lead in approaches such as tiered pricing. This isn’t just ‘the right thing to do’ but something that will also pay off commercially in the long run by establishing a strong presence in emerging markets. These growing nations will also come to pharma’s rescue as the US market flattens out, says Witty – but pharma has to adapt to capture that value. “The cavalry, if I can put it that way, is in the six billion people moving into the active healthcare market in these countries,” he says, with rising incomes and rising aspirations in these countries driving up spending. Witty has however often failed to inspire confidence among its all-important shareholders, who came close to a revolt in recent years as the firm’s performance foundered. The company is now posting healthy results again, but first-in-class, big earning prescription medicines remain the products which excite investors, and GSK hasn’t produced one of those for a while. 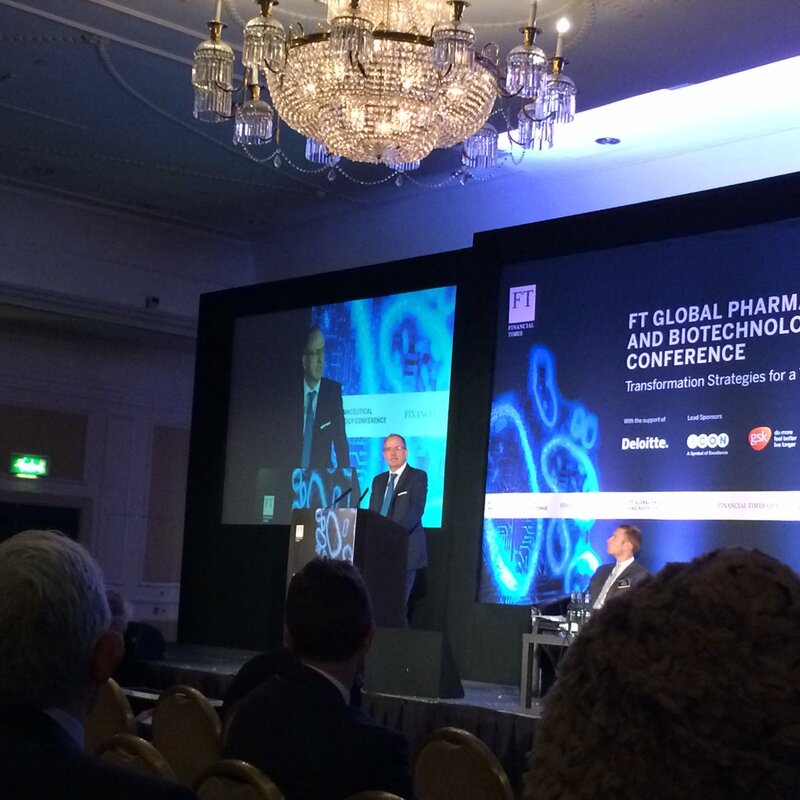 Also speaking at the FT conference was Sanofi’s chief executive Olivier Brandicourt. Like Witty, he also stressed that Trump’s victory was not the end of the great American drug price controversy. “Make no mistake, the pricing debate will continue,” he said. Brandicourt’s company has struggled in the last year or two as its flagship diabetes franchise, centred around insulin Lantus, has been battered by US price pressure and looming biosimilar competition. Unlike Witty, Brandicourt had seen major M&A as a way to guarantee growth. But this summer the company was outbid in its pursuit of US cancer specialists Medivation, Pfizer gaining the prize with a $14 billion pay out. Sanofi will be on the look-out for another good value takeover target, but these have become very thin on the ground. In the meantime, Brandicourt says pharma needs to change its business model, and also needs to urge governments to find the ‘political courage’ to reform healthcare. But Brandicourt was keen to point out that there are problems in the US system beyond pharma’s control – including ‘misaligned incentives’. Brandicourt says this includes pharmacy benefit managers (PBMs) and health insurers extracting discounts from pharma, but not passing on these savings to patients, or simply excluding certain drugs from coverage. He said this, and not pharma price rises, was to blame for patients facing more out-of-pocket costs. He suggested that the Trump administration could act if this trend continued. “Of course, we’d like to see the market self-correct, however there may be scope for legislation,” he added. 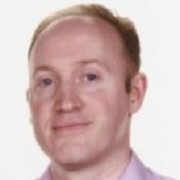 On that enmity between pharma and PBMs, Andrew Witty was more moderate about PBM tactics, saying the ‘best PBMs’ are passing on savings, but nevertheless agreed that ‘more transparency’ in the US supply chain would help. Brandicourt stressed that ‘predatory pricing is unacceptable’ and said pharma needed to rebuild trust and credibility in the US market in particular, after the numerous controversies in the last few years involving, Turing Pharma, Valeant, Mylan and others. Allergan is one company which has pledged to introduce a price cap on its products, a guarantee of no ‘price gouging’, however others have not followed suit, and Brandicourt said such a pledge wouldn’t work for his company. Donald Trump has of course already signalled his willingness to either ‘rip up’ or significantly restructure Obama’s Affordable Care Act – depending on his mood – which could mean major upheaval over the next four years. Like many others, Brandicourt cautioned against the idea of simply repealing Obamacare, as that would put 20 million people at risk of losing health insurance again. Europe also needs to re-examine its approach to pricing and reimbursement, says Brandicourt, as it lags far behind the US in how it rewards innovation. He says the European Union’s 20+ reimbursement systems are complicating market access. This means greater harmonisation across the continent is needed, whilst allowing each country to retain ultimate control. But there is intense pressure on prices in Europe’s biggest national markets. “There are two or three countries in Europe which put in systems which limit the adoption of innovation,” he said, naming France, Germany and the UK as having systems not supportive of new medicines. In other words, Brandicourt is looking for a more intelligent approach to pricing and value in these developed markets. Without such an evolution, healthcare may yet lapse into the naming calling seen in other debates.